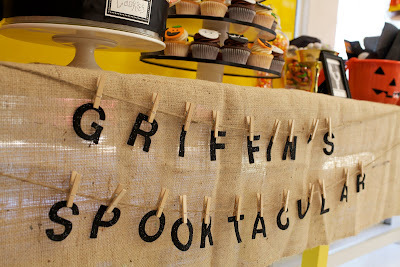 Oh my -- we did a FABULOUS party for a super sweet little boy last night. 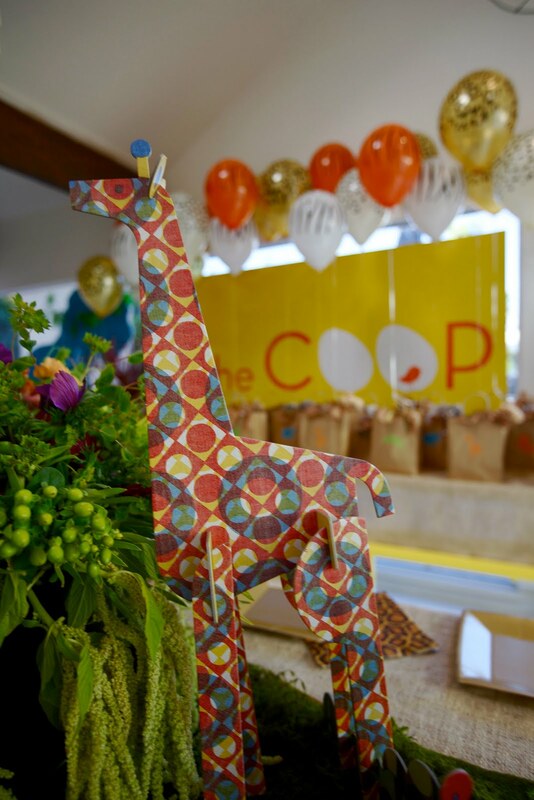 Normally we don't divulge our celebrity kiddies that party with us at the COOP -- but this party was well documented by the paparazzi -- so I don't feel bad mentioning it here as well! Bronx came in to the COOP a couple of weeks ago with his gorgeous momma Ashlee Simpson to talk about doing a birthday bash for him. 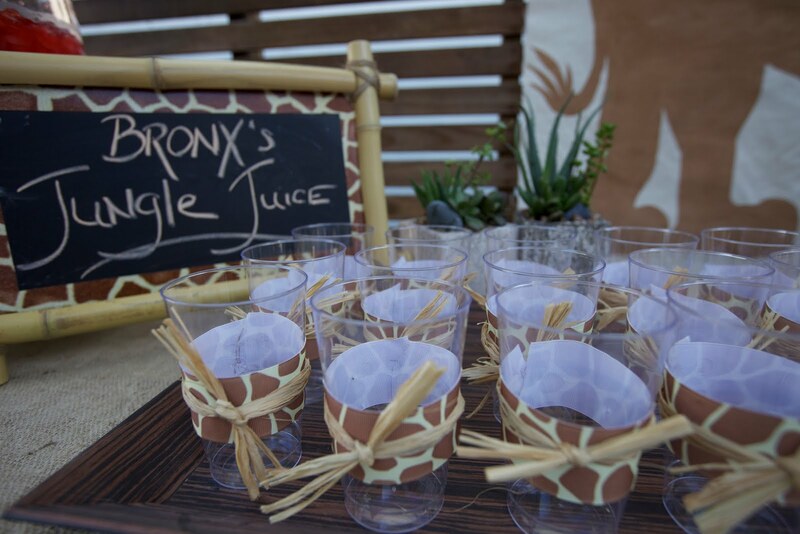 Bronx loves animals -- especially Elephants and Lions he said -- so we went with a super safari theme! I am always so happy to get to use the gorgeous (I may be biased!) 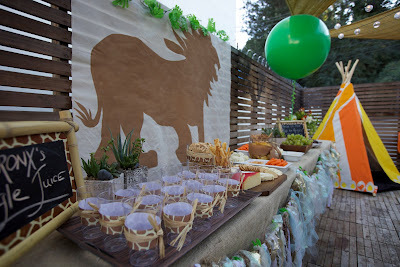 Elephant, Lion and Giraffe paintings I did for a Safari party a couple of months ago. They looked great in the windows (and served as paparazzi blockers -- bonus!) 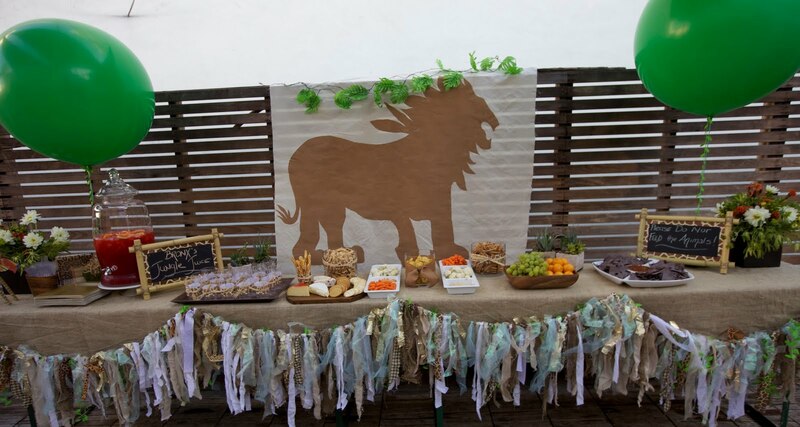 -- and the Lion held a place of Pride standing guard over the food table outside. 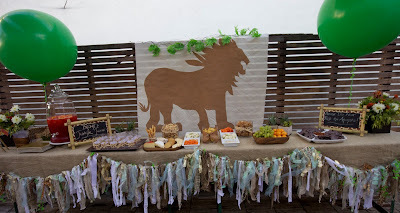 I also repurposed another favorite of mine -- the banner I made for my son's party out of strips of material and ribbons -- I just added some safari ribbons to really make it go GREAT with the Safari theme and hung it around the food table. 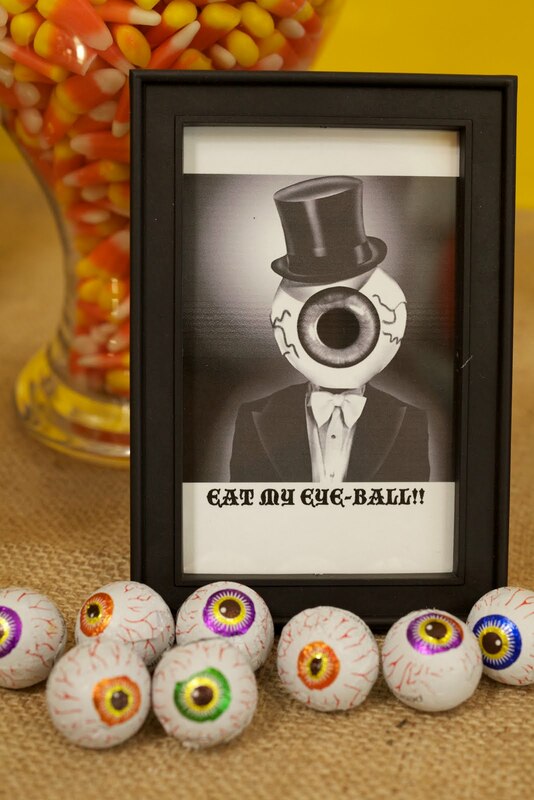 I think it really added to the look out there! 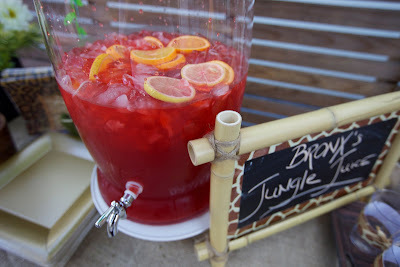 I also did "Bronx's Jungle Juice for the kids which was basically some yummy Hawaiian punch with fruit slices floating in it -- served in great little cups we jazzed up with ribbon and raffia. 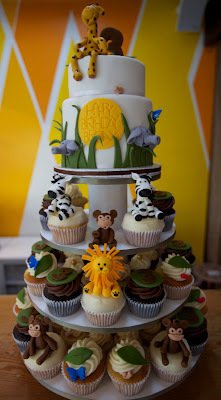 This party is essentially a COOP and Caboodle Theme party -- meaning we did the cake (Julie/ Blue Cupcakes -- she's a genius!! Everyone RAVED about them as always), all the food, facepainter, and gorgeous flowers. I went for a really jungle-ie look with the flowers -- different from what I normally do -- but I think they turned out really cool and theme appropriate! 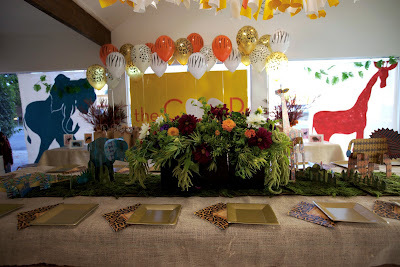 The table had our moss and these darling cardboard modern patterned animals as the centerpiece... loved it! The kiddos all went home witha stuffed animal, a plush animal tail and ears set, and a really cool hand puppet that actually makes the animal noise. The party was wonderful and beautiful and most importanly -- Bronx had a wonderful time with his whole family and all his buddies celebrating his 3rd year!!! Over the Halloween weekend a super, sweet young man named Griffin celebrated his birthday with the WHOLE COOP AND CABOODLE - Halloween style. 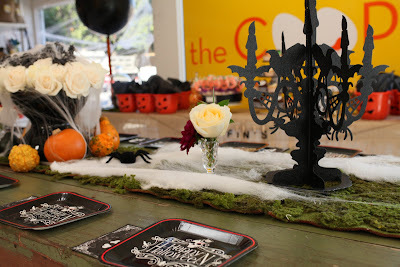 I had SO much fun putting this birthday bash together. 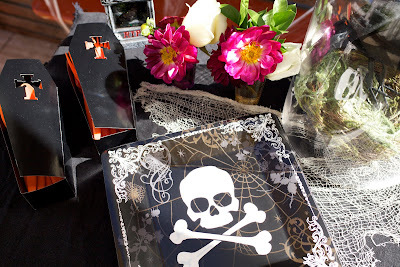 I wanted the look to be COOL and GOTHIC but not too scary. In the front room I used simple moss on the main table with some great black candelabras and single flower vases as well as beautiful white roses with cob webs strung over them - really easy to do and gives a fabulous effect. 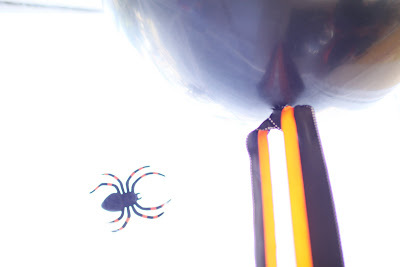 I did the gigantic balloons in black with orange and black ribbon and I made a little sign with string/letters and pegs. 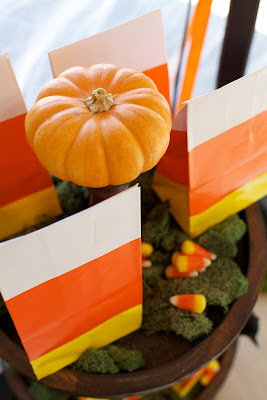 (also easy, peasy and looks great!) 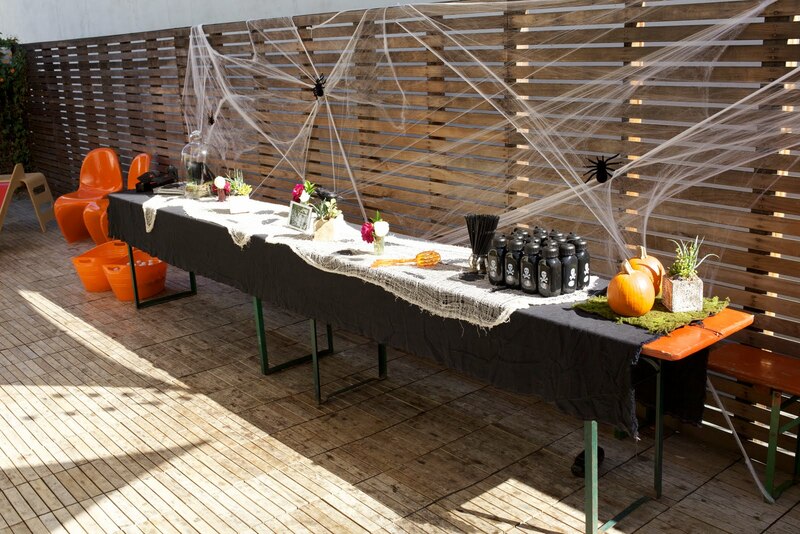 The outside patio was transformed with cobwebs, crows and even a skeleton in the bamboo! 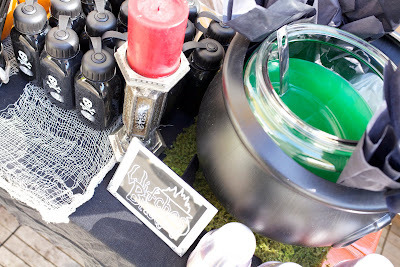 I made some creepy, green, witches brew with dry ice and I even put the cutlery in little black coffins - so FUN! 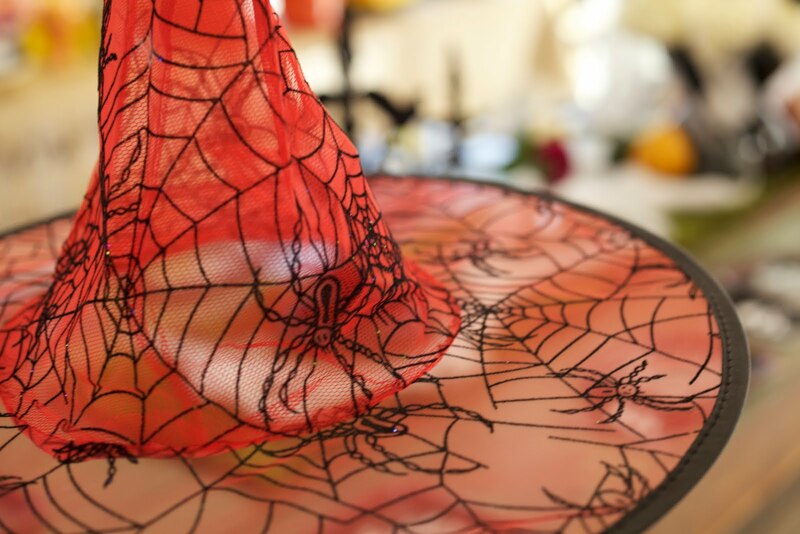 The goodie bags consisted of a pumpkin bucket - perfect to use later for trick-a-treating, witches hats & gloves, glow masks, glow sticks and candy, candy, candy. The hardest part of putting this party together was/is - right now - deciding which photos to post! 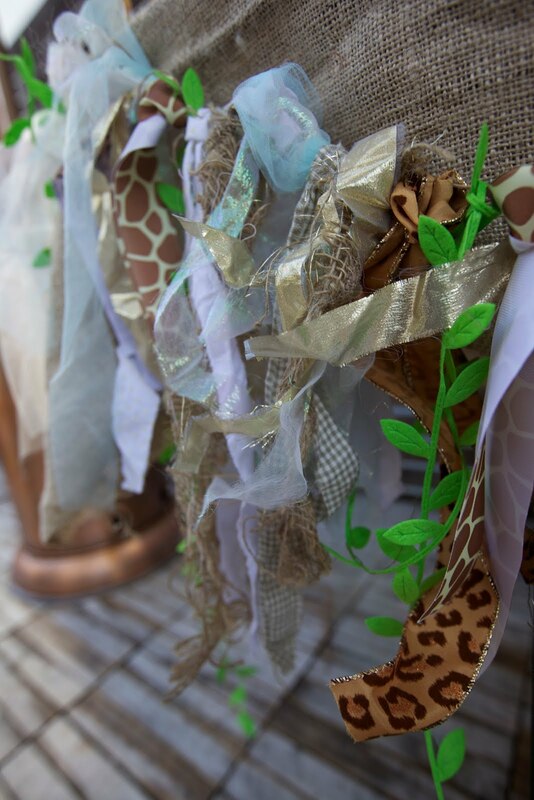 I know I already did a pretty comprehensive post on our other Fireman Coop and Caboodle Party, but I did one yesterday and I just wanted to share a few of the detail shots with you! I had the idea LAST party to do fireman boots as a vase -- but I couldn't find rain boots in the dead of the summer anywhere! 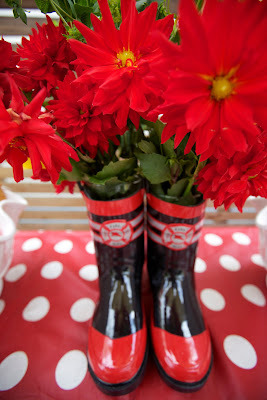 Lucky me -- it's rainy season now -- so Target had these adorable boots and I was able to try out the idea. I LOVE how it turned out! Aren't they darling? Love. 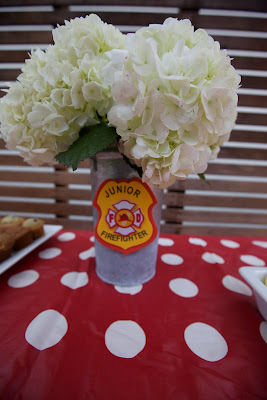 The fireman party is SUCH a great party -- I love that it is simple and bold and has a great gender neutral gift! 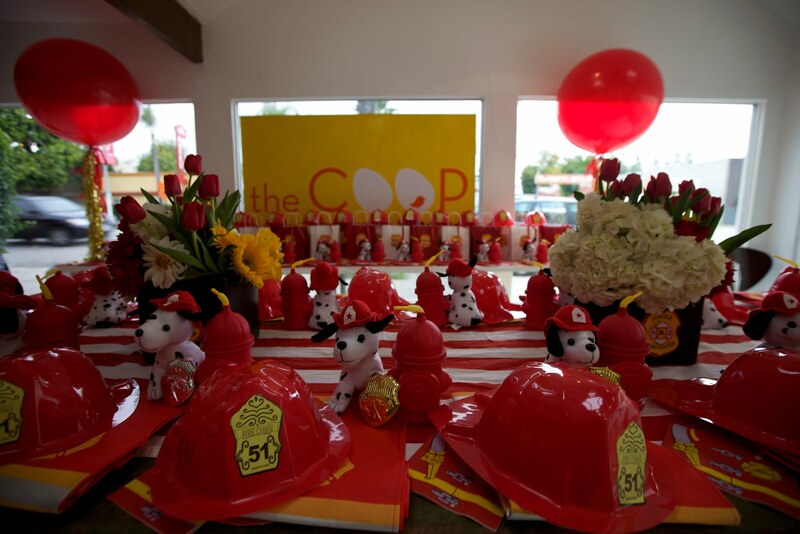 EVERYONE wants a fireman hat, a stuffed fire dog, a badge and a fire hydrant sippy cup! Right? The one I did yesterday I also added these darling Fireman vests which were soooooo cute on the kiddos. Mom and Dad were sooooo pleased with all the work we did on this one... said it was the ONLY way to do a party! 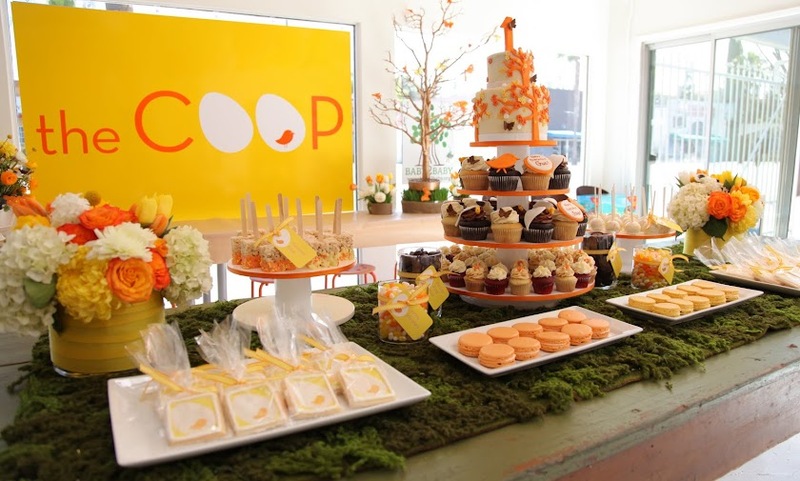 Let the COOP handle it all -- and sit back and enjoy the fun! I am going to get some SUPER fab pics of this party from our wonderful photog Greg in a couple of weeks that I will share -- but in the meantime... here are just a few shots from me! 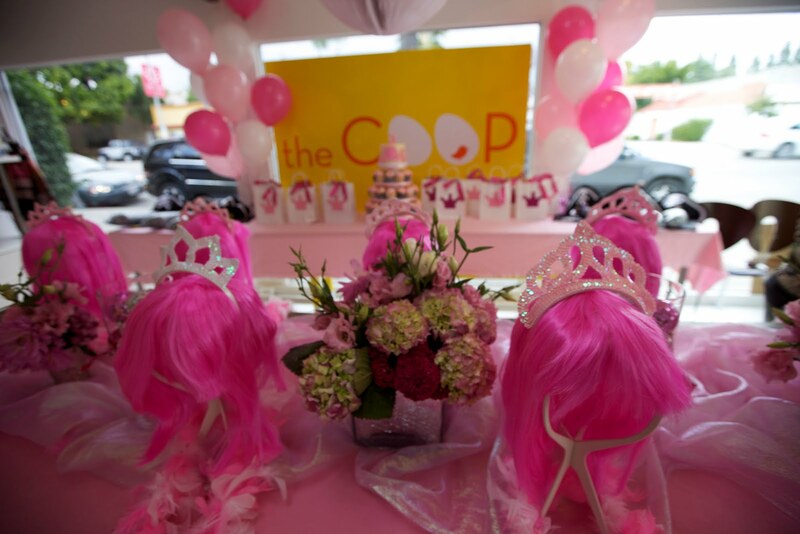 Pinkalicious is one of our most popular parties at the COOP -- and i think because of this we rarely photograph it! WE are so used to it's splendor -- I think we overlook it! It's a beautiful party -- and everyone LOVES the wigs and boas and tiara they take home (don't worry -- we always do something fab for the boy guests as well -- in this instance the BDay girl requested the boys get pirate loot!) 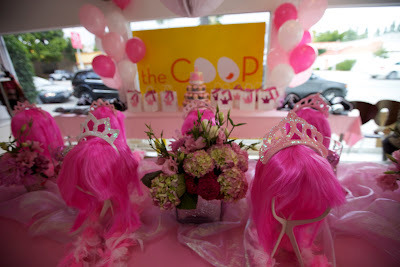 Anyway -- I just wanted to share a few pics as I just love love love this party and it's pink overload! It's every little girls dream! 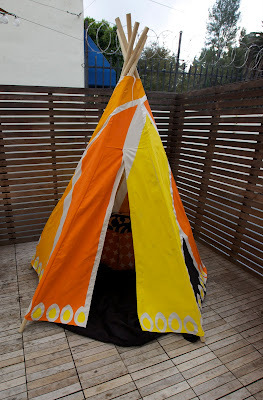 NEW TEEPEE - Part Deux! I just painted us another fabulous Teepee for the COOP the other night! I love how it turned out. In the ever growing things my kids have lost to the COOP file -- is the OLD teepee. Which was actually my son Grants Birthday present 2 years ago -- and then I painted it COOP -ie and brought it down to the COOP where it was soooooo loved and well used -- that it pretty much got trashed! 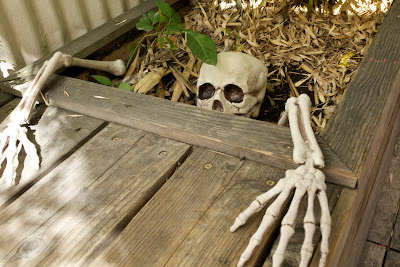 Oh well... my boys are used to making sacrifices for the COOP! So -- this past week I was inspired to get a new one done.... and this time I decided to add our COOP eggs and one little COOP chick on it. I love love love how it looks. Lucinda and I are trying to really get the COOP brand solidified -- so I wanted to make sure it was unmistakably OURS! COOP eggs, COOP chick -- super fab! 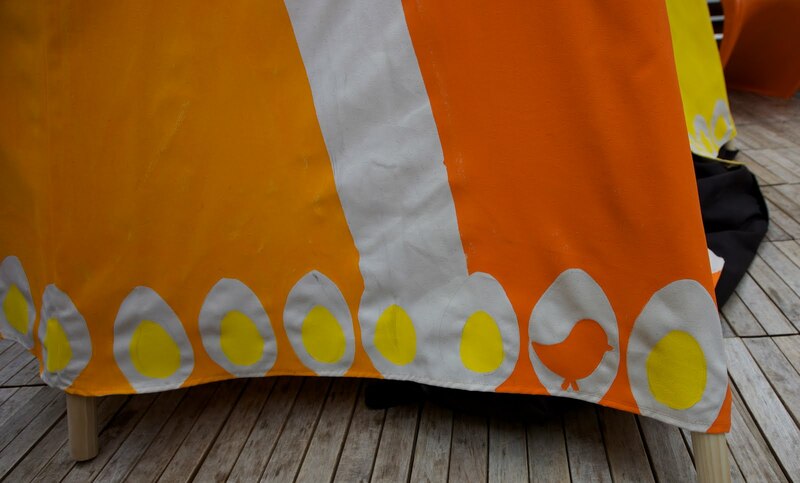 I really wanted to do a band of 2 or three rows of eggs -- but when I realized just how time consuming the detail work was I just did one! As it was I was painting till 2 a.m.! There is always next time!!! ROCK N ROLL AND A TOUCH OF PINK! We just had the most adorable Rock n Roll party where the mom wanted lots of pink and purple elements mixed in with the silver, and the effect is dazzling. The pink and the purple wigs and sunglasses along with the blow up guitars all made for a super cool party favors. 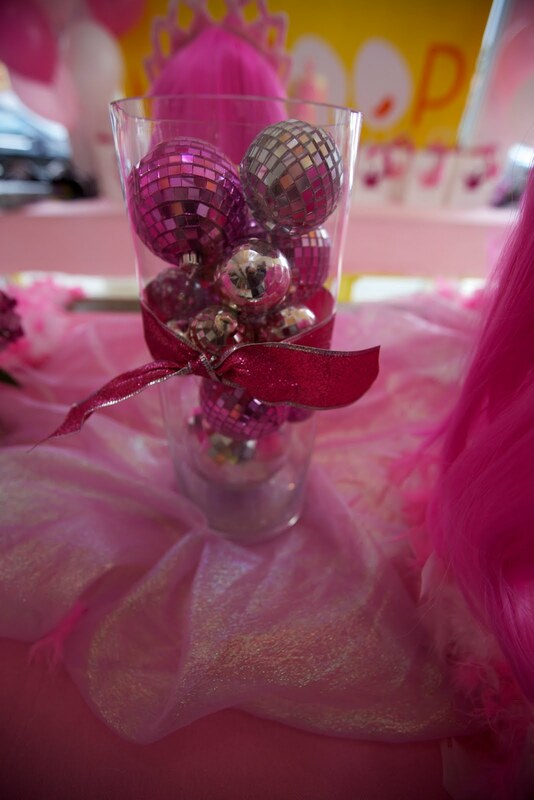 Mom suggested pink and purple disco balls in the vases with glow rings which was fabulous as a center piece and we of course added pink flowers. 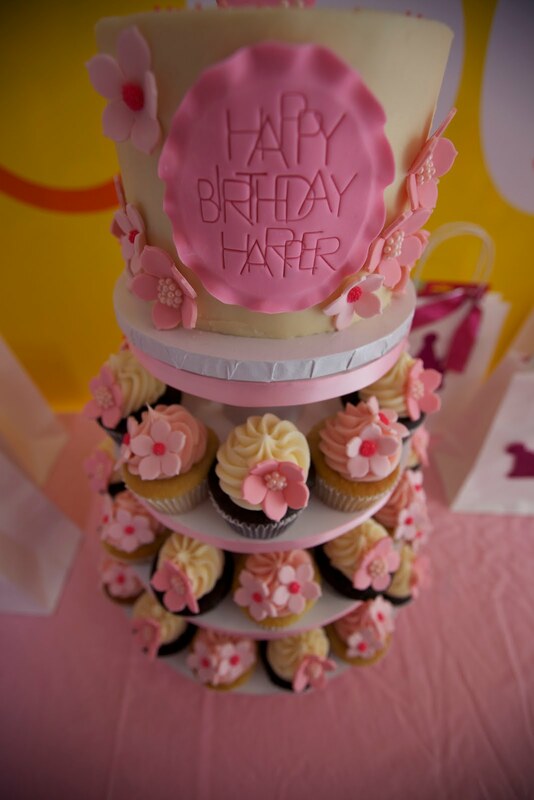 The cake was an incredible work of art and delicious too! 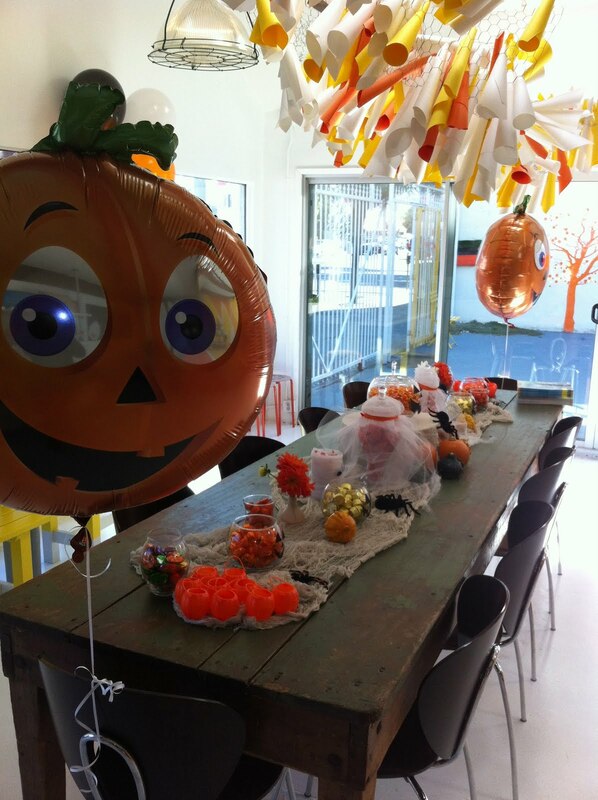 Ah to be young again and have the COOP as a party venue! 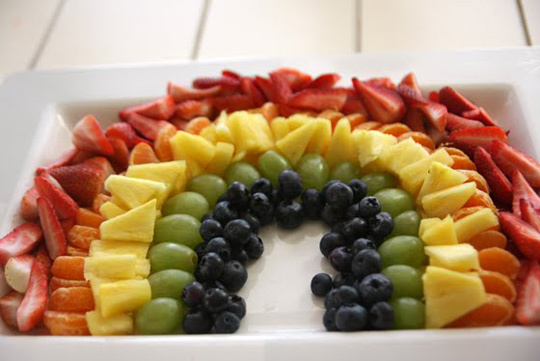 We did the most gorgeous WIZARD OF OZ party this weekend (pics coming soon) and while researching cool RAINBOW ideas I came upon these divine fruit salads - SO fabulous and a great way to get the little ones to eat their fruit! How adorable is our little birthday boy in the first picture! 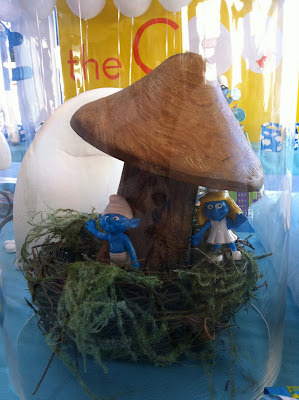 This Smurf party turned out so beautifully with just the right elements of SMURF and COOL. 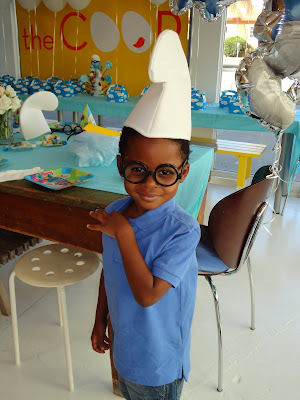 All the little Smurfs were given their very own Smurf hats, brainy Smurf glasses (our birthday boys favorite) and white gloves. Our little SMURFETTES received a blue tutu and white gloves and all our little SMURFS took home a cloud covered box filled with goodies. I kept the flowers lovely and simple with white roses, tulips and lilacs we used blue table runners and topped it off with cloud balloons - love it! 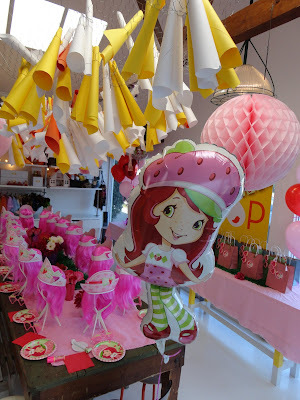 We have been doing a lot of new themes at the COOP lately, one of them being Strawberry Shortcake. 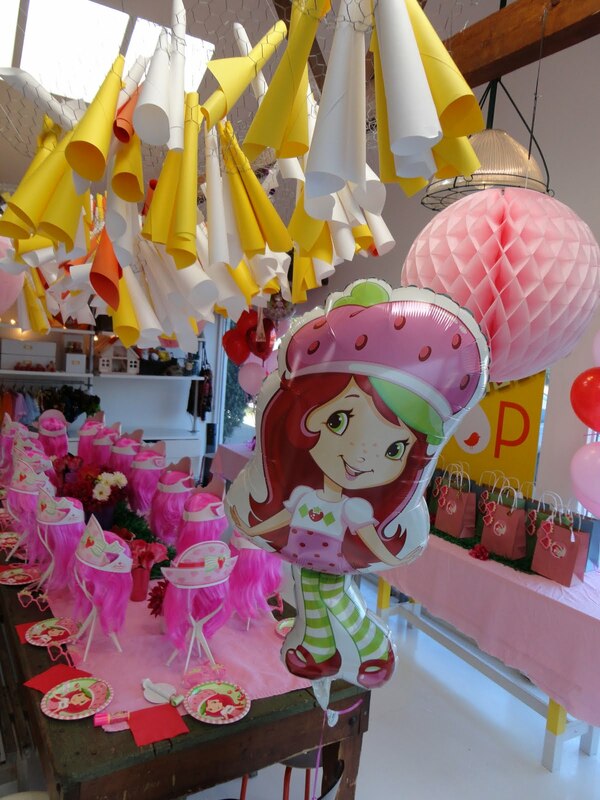 Who doesn't love some Strawberry Shortcake? 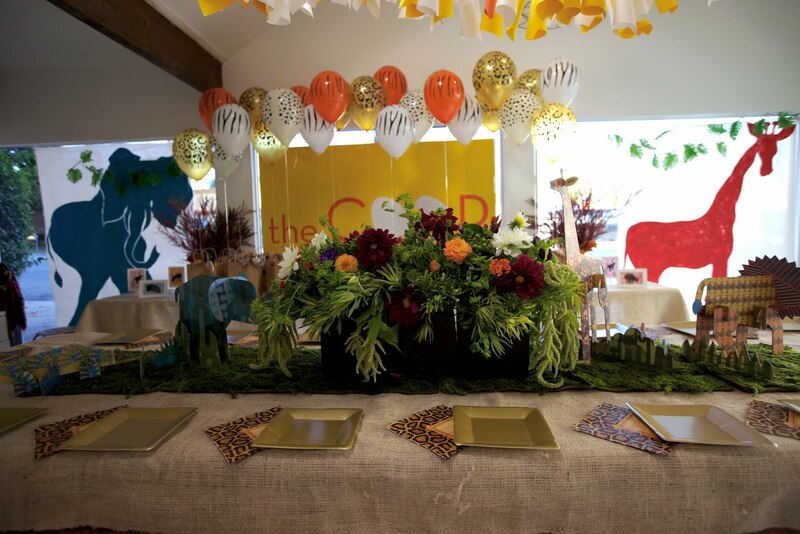 This party turned out so beautifully, and we were lucky to be collaborating on this one with a great mom who really wanted everything to be perfect. 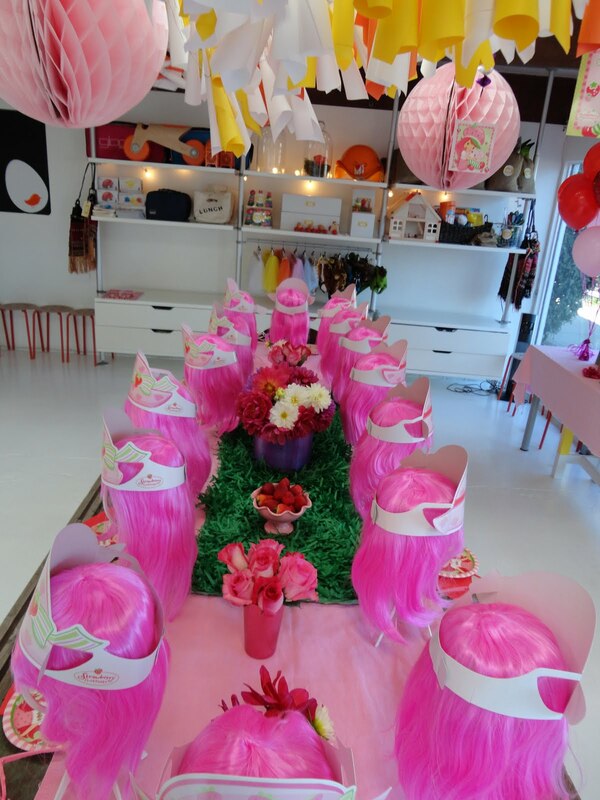 Juliet ordered all the fab party favors which consisted of luscious pink wigs, strawberry shortcake bracelets, sunglasses and hats and for the boys we did red capes & masks. 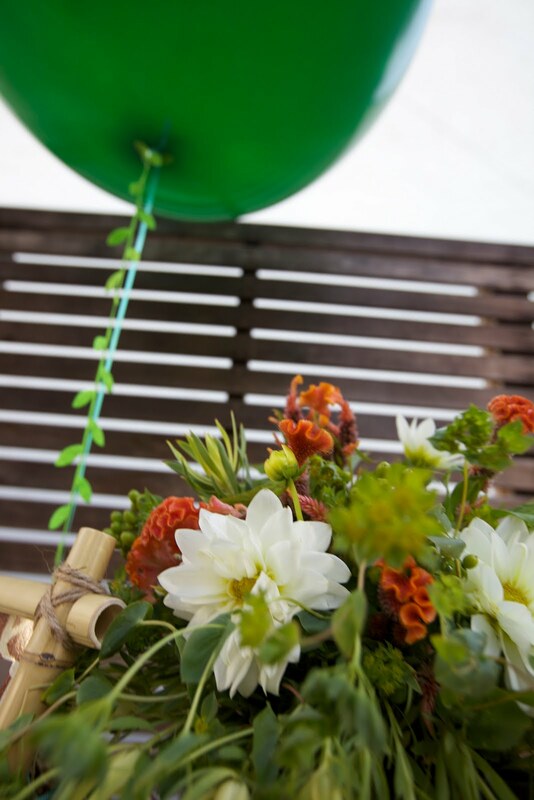 I decorated the table with gorgeous flowers and grass and of course some fresh strawberries. I think you will be able to see from the pictures that this party was just DELICIOUS! 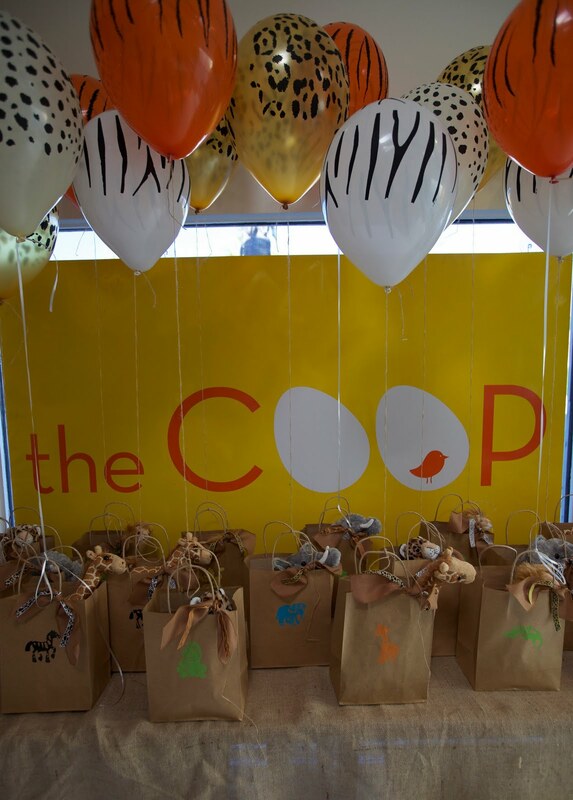 The very beautiful actress Jennifer Freeman chose the COOP to throw her daughter Isabella's second birthday party. 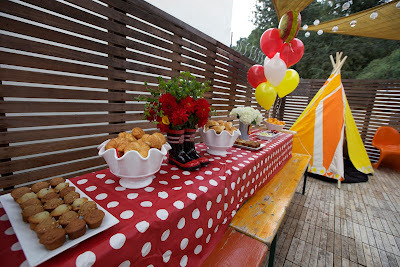 The 'My Wife and Kids' star, wanted a princess and pirate theme for the party, which is one of our more popular themes. 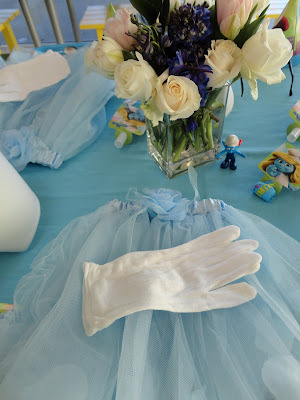 We made the main table up as our gorgeous princess table with lots of pink - all the sweet little princess's went home with a tiara a beautiful tutu and white gloves, the little pirates left with pirate vests scarfs and swords. 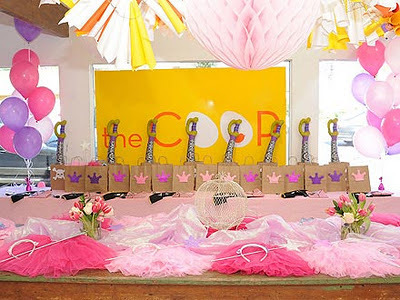 It was a very magical party, Jennifer loved it so much she said next she will be doing her very own party at the COOP. 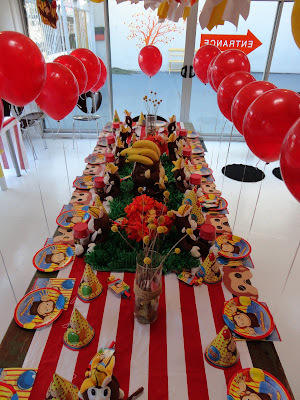 Curious George was the first movie I ever took my eldest son Dashiell too so it holds a very special place in my heart, which is probably why I had so much fun preparing this one. I love how this Curious George party turned out and the birthday boy could not have been happier especially when he saw all of those fabulous red balloons. As our birthday boy was turning three we had adorable cuddly monkeys with a banana on their heads as party favors along with curious George masks a barrel of monkeys a safari hat and of course a red balloon. We played the movie and all the kids had the BEST time ever - George would have been sorry he missed it.